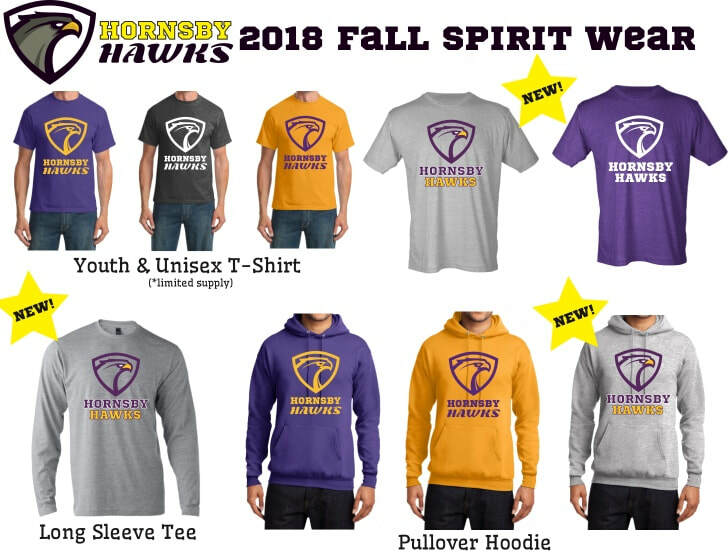 Show your Soaring Hawk School Spirit with Hornsby Hawk Spirit Wear! Items can be purchased throughout the year. Please contact Kim Dilday at kimandfletch@cox.net or Wendy Anthony at wendyanthony@yahoo.com for style and color availability.